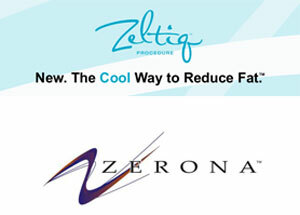 The Food and Drug Administration has approved two new methods to remove unwanted fat, Zeltiq and Zerona. The first method essentially freezes the fat off, while the other uses a low-level laser to zap the fat cells. Zerona uses a low-level laser to “zap” fat cells, also forcing them to empty and disperse. The laser is applied to the target area for about 20 minutes, and the whole procedure can be done in under an hour. Unlike liposuction, the treatment is non-invasive, but there is a smaller body of research about its possible side effects. Because the laser is “cold” patients reportedly feel nothing during the procedure. Neither technique is a replacement for a healthy diet and exercise, and neither is a weight loss method. They will rid target areas, like the hips, thighs, and belly, of excess fat.